1. I want to return my order. What should I do? 3. I got an item that is defective or broken. What can I do? 4. I decided to change my order. Can I add or cancel some items? 5. What is your return address? 1. How do I know if I've successfully placed my order? 2. I am not able to view my order status. What should I do? 3. The order status hasn't changed since the last time I checked, what's going on? 4. Is my order shipped yet? 5. How do I change or cancel my order? 1. How long do I have to wait for my order to get here? 2. I have an import tax issue here in my country, so can I label my invoice under $100? 3. Does ATees handle any custom or VAT import taxes incurred from couriers such as FedEx or DHL? 4. I am sending a gift to my friend. Can you label gifts only and no price on the invoice? 5. How does free shipping works for local Hong Kong Post office? 6. I would like to pick up my parcel locally at the Sheung Shui MTR station. Who do I contact? 1. Where can I track my orders? 2. How do I track my package once it is shipped? 3. Where do I get more detailed tracking information? 1. How do I know which parts fit my car? 2. Does your products come with installation manuals? 3. I want to know if you can order a specific part/color that is not listed for sale? 4. I bought a new car that just came out. When will the hop-ups be available? 5. I just found a website selling the same product with a better price. Can I have my money back? 1. Why are some of your pictures taken with the package? 2. Are the prices on ATees.com in US Dollar? 1. Can I back order an item? 2. The item I just bought is out of stock. What can I do? 3. How do I track the status of my back order? 4. When can I expect my back order to be available? 5. I changed my address and still have a back order. What do I do? 6. Do you charge shipping for back order items? 1. How do I contact you if I have any questions? 2. How long do I have to wait for a reply by email? 2. How do you protect my credit card information on your website? 3. Do you accept Cashier's Check or Money Order? 4. Do you charge any sales tax? 5. What import/customs tax do I have to pay? 6. Why does AsiaTees require customers to take a selfie photo for some orders? 2. How do I sign up for an account? 3. How do I use Paypal to checkout on ATees.com? 4. What do I do when I have questions about my Paypal account? 5. When are the funds transferred out of my Paypal account for my AsiaTees order? 6. I don't want to sign up for a Paypal account. Can I use my credit card? 1. What kind of warranty do I get from your products? 1. Do you have any promotions / discount going on? 1. What is the best way to browse your website? 2. What are cookies? Do I need to enable cookies on my browser to shop at ATees.com? 3. Why is there no space to enter my shipping address at your website? 4. How do I receive and use my Store Credits? 2. How do I know if it is safe to shop with you? 3. Why should I register for an account? Are there any benefits? 4. Who is GPM Racing Products? What are your affiliations with them? 5. Do you have an outlet store? 1. Q: I want to return my order. What should I do? The return shipping cost will not be reimbursed. When the package is returned our local post office, it may take 3-4 days for us to retrieve your package and inspect the items. Refund will be processed within 7 days thereafter to your credit card or original payment method. Opened items (and unused) will only be eligible for return if there is a factory defect. For example, if the threads inside a screw hole is missing. Items that are broken or bent from crashing will not be eligible for return. Please refer to Returns page for more details on returning or canceling your order. A: Once your returns arrive in our local post office, it may take 3-4 days for us to retrieve your package and inspect the items. Refund will be processed within 7 days thereafter to your credit card or original payment method. 3. Q: I got an item that is defective or broken. What can I do? A: Please take clear photos describing the defective or broken item(s) and email them to us. Upon inspection we will notify you whether the item(s) can be replaced. We will notify you via email within 1 business day upon receiving the photos of the defective item(s). 4. Q: I decided to change my order. Can I add or cancel some items? A: You may change your order by logging into My Account. Under Order History, click on "Add/Delete Items". Once the order status is updated to "Packed", you will no longer be able to change the order. 5. Q: What is your return address? *If you are returning defective items and need replacement parts, you may take a photo of the shipping receipt and send it to us through email. Once the receipt is confirmed the replacement items will be shipped out within the next business days. 1. Q: How do I know if I've successfully placed my order? A: After placing an order with AsiaTees, you will receive a confirmation email from us acknowledging that we have received your order. If you do not receive this email within a few minutes, please email us. 2. Q: I am not able to view my order status. What should I do? A: You may use the AsiaTees Order ID (ATXXXXXXXX) from the order confirmation email together with your last name to track your order on this page. The AsiaTees Order ID can also be found by logging into My Account. 3. Q: The order status hasn't changed since the last time I checked, what's going on? A: When the order status is idle at "Preparing order for delivery" for more than 24 hours, it means that not all items are immediately available for shipment. Please be patient as we process all items you ordered to get your shipment to you intact. As promised, this would not take more than 7 days. If we are unable to obtain all the products in your order, we will send you a refund for such items. 4. Q: Is my order shipped yet? A: You may check the order status by entering your AsiaTees Order ID and last name here. Once your order is shipped an email with tracking information is sent to your payment email. 5. Q: How do I change or cancel my order? A: Please contact the AsiaTees Customer Loyalty Team immediately if you need to change or cancel your order. Please be advised that some orders are shipped very soon after placement, and it may not always be possible to cancel. 1. Q: How long do I have to wait for my order to get here? A: Usually it takes 5-18 days by express airmail saver shipping method. Courier service such as Fedex, DHL and Express Speedpost will take less time. The exact time also depends on country location and custom inspections of destination country. 2. Q: I have a tax problem here in my country, so can I label my invoice under $100? A: Usually we label $13 USD on the box of the packages, which is about $100 Hong Kong Dollars. If you require a special treatment of the invoice, please indicate "Invoice Import Tax Exemption" in the message area of your payment or email us. 3. Q: Does ATees handle any custom or VAT import taxes incurred from couriers such as FedEx or DHL? A: ATees is not responsible for the custom and VAT import taxes that might be needed for shipping to certain countries. If your country requires these taxes, please ensure that you are aware of these charges first. We can lower the value of the invoice that is declared through the service, but any charges required after we've shipped it is the responsibility of the individual who purchased the order. 4. Q: I am sending a gift to my friend. Can you label gifts only and no price on the invoice? A: Yes we can do that. In the shopping cart, click on the Gift selection box to indicate your order as being a gift. There is no extra charge. However, FedEx and DHL require all packages to include invoice with prices. 5. Q: How does free shipping works for local Hong Kong Post office? A: All shipments within Hong Kong shipped via Hong Kong Post Office (pickup at a local post office) qualifies for Free Shipping if the parcel qualifies for the following: The maximum weight is 2.0kg and no larger then 50cm on the longest side. Any order above 2.0 kg and larger than 50cm must deliver to a home address (shipping charge will occur) or use one of our other delivery methods. 6. Q: I would like to pick up my parcel locally at the Sheung Shui MTR station. Who do I contact? A: You may pick up your parcel at Sheung Shui MTR Station free of charge. You will be contacted by our staff to arrange a date and time to meet at the local Sheung Shui MTR station. Make sure you have your phone number and email for us to contact you. 1. Q: Where can I track my orders? A: Make sure you have registered an account with AsiaTees with the same email that you placed your orders with. Login, then you can track your order there. 2. Q: How do I track my package once it is shipped? 3. Q: Where do I get more detailed tracking information? 1. Q: How do I know which parts fit my car? A: 99.9% of the parts we sell are direct replacements of the original manufacture parts, meaning it is a one for one replacement (usually aluminum replacing plastic) and no modifications are needed to assemble them onto your car or truck. If modifications or additional parts are needed to use an item, we will specifically mention what necessary steps or parts you will need in the description. 2. Q: Does your products come with installation manuals? A: Most GPM Racing parts do not come with manuals because they are direct replacements of the original part. Most parts are very straightforward and easy to install. If a part comes with a manual it will be noted in the description. We are working on a system to show you pictures of where each part is supposed to go. Stay tuned on this! 3. Q: I want to know if you can order a specific part/color that is not listed for sale? A: Absolutely. Just tell us what you are looking for. We will tell you how long it will take to get the parts and the price for each of them. Sometimes we can get the parts for you within two working days. Send us an email to inquire! 4. Q: I bought a new car that just came out. When will the hop-ups be available? A: Whether we will carry parts and hop-ups for a car depends on our marketing personel. We are an expanding company and always looking for new and exciting products to carry (this is part of our core ideology). If you know there are demands for specific parts but no supplies to fulfill them, please let us know. We like to carry parts other companies don't! 5. Q: I just found a website selling the same product with a better price. Can I have my money back? A: We guarantee you the lowest price. If it's the same product from the same brand, please send us a link of the product. We will refund you the price difference once it's been confirmed. 1. Q: Why are some of your pictures taken with the package? A: We are currently working towards eliminating all pictures with packaging and replacing them with pictures without them. We appreciate and thank everyone for their feedback and advice on this! 2. Q: Are the prices on ATees.com in US Dollar? A: Yes we use US Dollar as our currency. 1. Q: Can I back order an item? A: Absolutely. If an item is out of stock, you may buy it and wait for it to arrive. If we receive an approximate delivery date from our supplier, that date will be updated to our website. An item that is 'On Order' and without an approximate delivery date means that we have just sent out orders to our supplier and no delivery information is available yet. After a purchase has been made, we will send you an email and ask if you want to back order the item or choose an alternative color if any are available. Back orders are kept on a 'first come, first served' basis. We are currently working on a system to update your back order status and notify you periodically through email. Please be aware that we have no control on how long your back order will take. It depends on our supplier's production schedule and market demand. At any point should you decide not to wait for your back order, just email us and we will gladly refund your money. The refund will be sent to your credit card or original payment method. 2. Q: The item I just bought is out of stock. What can I do? A: If we have insufficient stock of a product, you will be notified of this as quickly as we can. You can choose to wait until the product becomes available, or change to equivalent value items, or cancel your order and get a refund in store credit or back to your original payment. If you still want this item, we will ship your back ordered items to you again immediately when it becomes available. No extra shipping charge is incurred. 3. Q: How do I track the status of my back order? A: You can always go to the item's page and see if an approximate delivery date is updated. We are currently working on a system to update your back order status and notify you periodically through email. 4. Q: When can I expect my back order to be available? A: When we receive the approximate delivery date from our supplier, it will be updated on that item's page. If this date is not available, you may email us to find out. While we do our part to constantly replenish our inventory to meet demands, we have no control on how long your back order will take. It depends on our supplier's production schedule and market demand. Back order for older models will usually take longer compared to newer models because of lower demand. 5. Q: I changed my address and still have a back order. What do I do? A: If your back order has lasted more than three months, we will email you your shipping address and ask for your confirmation before we ship out your order. Please notify us as soon as possible if you've changed your shipping address to avoid further delay. 6. Q: Do you charge shipping for back order items? A: Yes. If your order has not in stock items they will be charged $2.5 each and 50 cents for multiples of the same item. Back orders are shipped out as we receive them. See Back Order Shipping Information for details. 1. Q: How do I contact you if I have any questions? A: You may contact us by phone, e-mail, live-chat or send us a message on Facebook. Our office hours are 9:00am to 7:00pm Hong Kong Time. 2. Q: How long do I have to wait for a reply by email? A: The fastest way to get a reply is by email and all emails will be replied. Emails get replied especially fast from 6:00PM to 6:00AM US Pacific Time. On Sundays and holidays, we have a slower response. Just picture people sitting behind their desks waiting for your emails, that's us. We don't understand why some businesses take so long or even never reply their emails. A: We currently accept Visa, MasterCard, Discover, American Express and Paypal for all orders. 2. Q: How do you protect my credit card information on your website? A: We do not ask for your credit card information. All of our transactions go through Paypal. Credit card details are entered in Paypal's website only. In our one-page checkout, all information is encrypted and transmitted to Paypal without risk using a Secure Sockets Layer (SSL) protocol. 3. Q: Do you accept Cashier's Check or Money Order? A: We accept Western Union Money Order only. At this point we do not accept Cashier's Check or Money Order. 4. Q: Do you charge any sales tax? A: No. There are no sales tax in Hong Kong. 5. Q: What import/customs tax do I have to pay? A: We almost always value our packages at around $13 USD. This makes shipment easier to handle for AsiaTees and the receipients. 6. Q: Why does AsiaTees require customers to take a selfie photo for some orders? A: We may request a selfie photo from a customer for certain orders. The selfie will include the customer and the credit card they've used for the purchase. Users can cover the middle 6 digits of the card for security purposes. The reason behind this is to avoid any fraudulent transactions, as your security is the most important thing for us. A: PayPal is an e-commerce business allowing payments and money transfers to be made through the Internet. PayPal serves as an electronic alternative to traditional paper methods such as cheques and money orders. Currently, PayPal operates in 190 countries, and it manages over 184 million accounts. One advantage of using PayPal Checkout is that it offers faster, safer and easier checkouts and promises to protect customers from revealing their credit card and other financial information to the merchant. 2. Q: How do I sign up for an account? 3. Q: How do I use Paypal to checkout on ATees.com? A: Exisiting Paypal users can login to their account, review the order and click 'Pay Now' to complete the transaction. If you do not have a Paypal account, you may click on 'Continue' on the bottom left side of Paypal's login page and enter your credit card information and other order details. 4. Q: What do I do when I have questions about my Paypal account? A: You may contact PayPal customer service by calling 1-888-221-1161 or go to https://www.paypal.com for support and additional information. 5. Q: When are the funds transferred out of my Paypal account for my AsiaTees order? A: PayPal withdraws money from your PayPal account immediately after checkout. If the balance is lower than the total payment, PayPal offers credit products or the option to pay from your bank account or a credit card. Customers who do not have a PayPal account at this point will need to use a valid credit card to complete the payment. For detailed information, customers can contact PayPal customer service by calling 1-888-221-1161. 6. Q: I don't want to sign up for a Paypal account. Can I use my credit card? A: Yes. After clicking 'Checkout Now At Paypal' button on our checkout, you may click on 'Continue' on the bottom left side at Paypal's page and enter your credit card information and other order details. 1. Q: Do I have any warranty from buying your products? 1. Q: Do you have any promotions / discount going on? A: Yes. You can visit our Discount Page. 1. Q: What is the best way to browse your website? A: It's really up to you because we're not even sure! But to make it easy for all of us - we've divided the website into four layers - Homepage > Brand > Model > Product. 2. Q: What are cookies? Do I need to enable cookies on my browser to shop at ATees.com? You need to enable cookies on your browser to enjoy all the shopping features at ATees.com. Cookies need to be enabled on your browser so you can add products to your shopping cart and to access your ATees.com account information. If you share your computer with others and you do not want them to have access to your account information, be sure to log out before leaving your computer unattended. You can log out by clicking on "Logout" link at the top of the page. 3. Q: Why is there no space to enter my shipping address at your website? A: Shipping address is entered at Paypal's checkout page. Once your payment is completed Paypal will send us your shipping address. If you already have a Paypal account, please make sure your shipping address is up-to-date. 4. Q: How do I receive and use my Store Credits? A: You can obtain Store Credits from returns and/or promotions. Your Store Credits will be either issued directly to your account, or it would need to be claimed by you. If your Store Credits need to be claimed, an email will be sent and you must click on the confirmation link in order to claim the Store Credits. Once claimed the Store Credits will be available in My Account. 1. Q: Where are you located? A: We are located in Hong Kong. 2. Q: How do I know if it is safe to shop with you? A: We understand security is an important issue so we work hard to provide a safe and secure online shopping experience. We also respect your privacy and honor your rights, and we're committed to protecting them. 3. Q: Why should I register for an account? Are there any benefits? 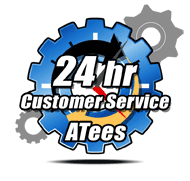 A: With an ATees.com account, you are able to upload your cars to our website to show other users. You can also leave feedback for our products. We are currently working on adding more functions to the user accounts. 4. Q: Who is GPM Racing Products? What are your affiliations with them? A: GPM Racing Products is a Hong Kong brand under Chin Ngai Hobby Company that manufactures aftermarket upgrade parts and hop-ups for a wide range of radio control cars and trucks, both electric and gasoline powered. We are an independent company and a reseller of GPM Racing Products. 5. Q: Do you have an outlet store? A: No. At this point we do not have an outlet store.